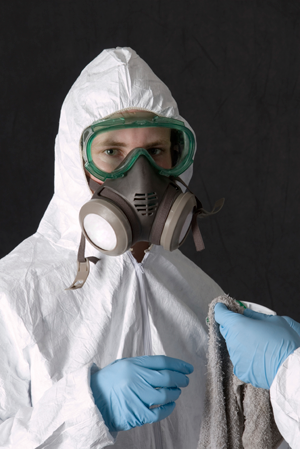 When biohazard cleanup is needed after a crime scene or other trauma related incident, Miller Restoration is sensitive to the situation, has the training needed to do a thorough job and keeps their team protected from the dangers of this type of work. Crime and trauma scene decontamination involves cleaning up dangerous material. This could mean the biologically contaminated scene of a death (homicide, suicide or accidental), the chemically contaminated scene of a methamphetamine lab or some other out of the ordinary situation. These situations are never easy for the family. Our job is to proceed to the biohazard cleanup: we restore the property to remove every trace of what happened as a result of the occurrence while being extremely empathetic with all parties involved. Our biohazard cleanup team handle a wide variety of messy situations, each of which carries its own dangers and often have stomach-turning characteristics. To make sure that all technicians meet the industry standards, continued training is necessary. Several biohazard cleanup situations can arise that will require high-level training to ensure the safety of our staff and our clients. Each year, all of our team members renew their training in OSHA Blood borne Pathogens Standards, which are guidelines for handling bio hazardous material and the proper use of personal protection equipment. With a strong commitment to every customer and dedication to every job, Miller Restoration guarantees your 100% satisfaction. 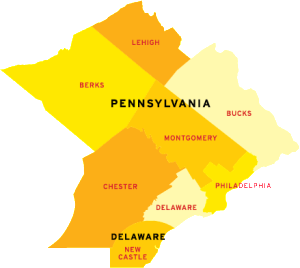 Years of bio-hazard cleanup experience serving Pennsylvania’s Delaware County, Chester County, Montgomery County, Berks County, Bucks County, and Philadelphia County, as well as Delaware’s New Castle County and surrounding areas, has given Miller Restoration countless satisfied customers who can attest to the company’s exceptional service. Ask for references!